Get some cultural insight at Rotenberg-Uzunov and The National Museum of Art of Romania. Let the collections at Bellu Manor and Theodor Pallady Museum capture your imagination. Explore Bucharest's surroundings by going to The Clock Museum (in Ploiesti), Therme București (in Balotesti) and Serve Winery (in Ceptura). And it doesn't end there: browse the different shops at AFI Cotroceni, explore the ancient world of Dacian Fortresses of the Orastie Mountains, get a new perspective on nature at Grigore Antipa National Museum of Natural History, and stop by Romanian Boutique. Plan a Bucharest trip in moments using our itinerary builder. Use the Route module to find travel options from your starting location to Bucharest. In February in Bucharest, expect temperatures between 6°C during the day and -3°C at night. Finish up your sightseeing early on the 22nd (Fri) so you can catch the train to Constanta. Constanta is a relaxed seaside town on the coast of the Black Sea. On the 23rd (Sat), pause for some photo ops at Ovidiu Square, brush up on your military savvy at Romanian Navy Museum, and then get your bearings at Plaja de Carte. 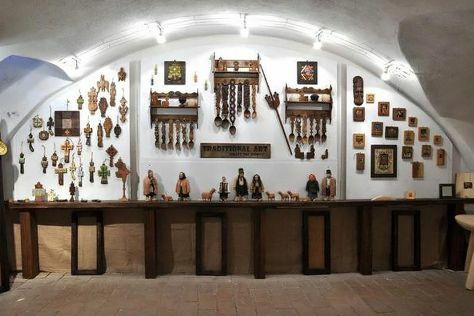 Keep things going the next day: pick up a one of a kind souvenir at Tomis Antiques, admire the landmark architecture of Museum of National History and Archeology, then contemplate in the serene atmosphere at Catedrala Sfinții Apostoli Petru și Pavel, and finally tour the pleasant surroundings at Oha Beach. For maps, photos, reviews, and other tourist information, refer to the Constanta trip planner . Getting from Bucharest to Constanta by train takes about 2 hours. Other options: drive; or take a bus. In February, plan for daily highs up to 8°C, and evening lows to 0°C. Finish your sightseeing early on the 24th (Sun) so you can travel to Iasi. Iași is the largest city in eastern Romania and the seat of Iași County. Satisfy your inner culture vulture at Mihai Eminescu Museum - Literature and Muzeul Universitatii Alexandru Ioan Cuza. Give yourself a bit of retail therapy at Palas Iasi and Palas Mall. And it doesn't end there: explore the historical opulence of Palace of Culture, view the masterpieces at Art Georgies - Gallery, Tea&Coffee, contemplate in the serene atmosphere at St. Sabbas the Sanctified, and admire the landmark architecture of Mihai Eminescu University Library. To find more things to do, photos, reviews, and more tourist information, read Iasi online vacation builder . You can do a combination of train and flight from Constanta to Iasi in 5 hours. Other options are to drive; or take a train. When traveling from Constanta in February, plan for slightly colder days in Iasi, with highs around 5°C, while nights are about the same with lows around -3°C. Finish up your sightseeing early on the 27th (Wed) so you can travel to Cluj-Napoca. Coltesti Castle Ruins and St. Michael's Church are good opportunities to explore the local culture. Eschew the tourist crowds and head to Baile Figa and Ramet Gorge. Change things up with these side-trips from Cluj-Napoca: Moara de Vant (in Ciurila) and Szekelyko (in Rimetea). There's still lots to do: stroll through Muntele Mare, stop by Oranjerie, and identify plant and animal life at Cheile Turzii - Turda Gorge. For other places to visit, ratings, reviews, and more tourist information, read our Cluj-Napoca trip planner. You can fly from Iasi to Cluj-Napoca in 1.5 hours. Other options are to drive; or take a bus. Expect a daytime high around 7°C in February, and nighttime lows around -1°C. Finish your sightseeing early on the 3rd (Sun) to allow enough time to take a train to Oradea. Oradea the capital city of Bihor County and Crișana region, is one of the important centers of economic, social and cultural development in the western part of Romania, retaining these characteristics throughout history. Start off your visit on the 4th (Mon): learn about all things military at Military Museum, look for gifts at Lotus Center, don't miss a visit to The Holy Cross Monastery, contemplate in the serene atmosphere at The Roman-Catholic Cathedral, then admire the striking features of Moon Church (Biserica cu Luna), and finally ponder the world of politics at Oradea City Hall. Get ready for a full day of sightseeing on the next day: take in the spiritual surroundings of The Neolog Synagogue Zion, have fun and explore at Darvas- La Roche House, then take an in-depth tour of Ady Endre Memorial Museum, then step into the grandiose world of Oradea Fortress, and finally relax and rejuvenate at some of the top local wellness centers. For where to stay and more tourist information, use the Oradea trip itinerary builder tool . Traveling by train from Cluj-Napoca to Oradea takes 3 hours. Alternatively, you can drive; or take a bus. In March, daily temperatures in Oradea can reach 14°C, while at night they dip to 1°C. Cap off your sightseeing on the 5th (Tue) early enough to go by car to Timisoara. Timișoara is the capital city of Timiș County, and the main social, economic and cultural centre in western Romania.The third most populous city in the country, with 319,279 inhabitants as of the 2011 census, Timișoara is the informal capital city of the historical region of Banat. 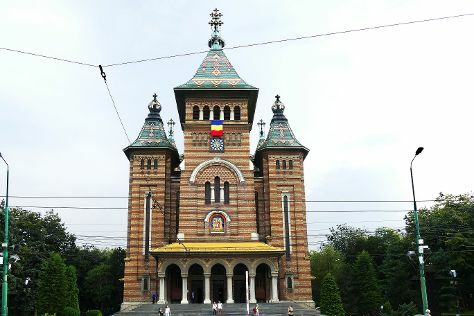 Get some cultural insight at Timisoara Orthodox Cathedral and Basilica Maria Radna. For shopping fun, head to Calina Art Gallery or La Cave a Vins. Venture out of the city with trips to Șoimoș Fortress (in Lipova) and Holy Trinity Cathedral (in Arad). There's much more to do: browse the different shops at Shopping City Timisoara, make a trip to Piata Victoriei, contemplate the long history of Piaţa Victoriei, and see the interesting displays at Muzeul Consumatorului Comunist. To find other places to visit, maps, where to stay, and other tourist information, use the Timisoara trip planner . Drive from Oradea to Timisoara in 2.5 hours. Alternatively, you can take a train; or take a bus. Expect a daytime high around 15°C in March, and nighttime lows around 2°C. Wrap up your sightseeing on the 8th (Fri) early enough to drive to Sibiu. Take a break from the city and head to Transfagarasan Highway and Trovanti Museum Natural Reserve. You'll explore the less-touristy side of things at Framm's and Citadel of Alba Iulia. You'll find plenty of places to visit near Sibiu: Museikon (in Alba Iulia) and The wooden church of Horea (in Olanesti). There's much more to do: see the interesting displays at ASTRA Museum, stop by Erasmus Bucherkaffee, take a stroll through Old Town, and contemplate in the serene atmosphere at Lutheran Evangelical Cathedral & Tower. To find more things to do, other places to visit, where to stay, and tourist information, use the Sibiu trip itinerary tool . Drive from Timisoara to Sibiu in 3.5 hours. Alternatively, you can take a bus; or take a train. Traveling from Timisoara in March, you can expect nighttime temperatures to be a bit cooler in Sibiu, with lows of 0°C. Wrap up your sightseeing on the 12th (Tue) early enough to drive to Sighisoara. Let the collections at Art & Crafts and The Spoonman capture your imagination. Visit Fortified Evangelical Church of Cincsor and Teleki Castle for their historical value. Explore Sighisoara's surroundings by going to Fagaras Fortress (in Fagaras), Izvoare (Icelandic Horses Riding Ranch & Ivo Wildlife Park) and Tirgu Mures (Petry Museum and Workshop & Palace of Culture). There's more to do: don't miss a visit to Clock Tower and take in the architecture and atmosphere at Fortified Church. To see other places to visit, traveler tips, maps, and tourist information, go to the Sighisoara trip planning site . You can drive from Sibiu to Sighisoara in 2 hours. Alternatively, you can take a train. Expect a daytime high around 14°C in March, and nighttime lows around -1°C. Finish your sightseeing early on the 15th (Fri) so you can drive to Brasov. Explore hidden gems such as La Cabane Aux Images and Poiana Brasov. Your cultural itinerary includes sights like Brasov Historical Center and Draper Bastion. Change things up with these side-trips from Brasov: Sinaia (Sinaia Monastery & Pelisor Castle) and La Prapastii Zarnesti (in Zarnesti). Set the 19th (Tue) aside for some spooky business with a ghost and vampire tour. There's lots more to do: take in the awesome beauty at Mount Tampa, admire nature's extreme beauty at Luado Chocolate, grab your bike and head to Season Hill, and pause for some serene contemplation at Catedrala Ortodoxa Adormirea Maicii Domnului. To find reviews, other places to visit, maps, and more tourist information, go to the Brasov online driving holiday planner . You can drive from Sighisoara to Brasov in 2 hours. Alternatively, you can take a bus; or take a train. On the 20th (Wed), wrap the sightseeing up by early afternoon so you can take a train back home.